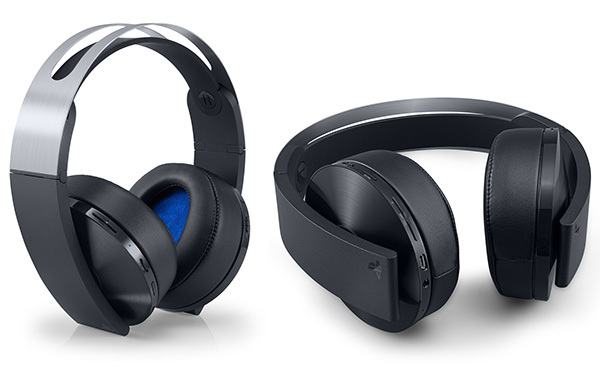 Sony has announced Platinum Wireless Headset for PS4 And PS VR aimed squarely at gamers, whilst also still being compatible with mobile devices. The Platinum Wireless Headset is both platinum (well, silver) and wireless, and certainly looks the part. At $159.99 though, it will need to do more than look good. Thankfully, if Sony’s specifications and claims are accurate, the headset should live up to the billing. Featuring 7.1 surround sound technology, which claims to make PS VR experiences even more lifelike, the headset uses PlayStation’s unique 3D audio algorithm to put gamers inside their games, with sound coming from just the right place thanks to the headset. Right off the bat, the Platinum headset’s fancy audio system will only be supported by Uncharted 4: A Thief’s End but more games are expected to follow suit in due course. The headset showcases enhanced, highly positional 7.1 virtual surround sound powered by PlayStation’s proprietary 3D audio technology. Hidden noise-cancelling microphones provide crisp, clear communication without the need for a boom mic. The headset combines superior construction and design offering style, durability, and maximum comfort – especially for long gaming sessions. Platinum is compatible with PlayStation VR and mobile devices using the included 3.5mm audio cable. Gamers can pre-order the head right now, though they should not expect to be able to take delivery until January 10th, with the headset set to hit the shelves on January 12th. Sony already has a wireless headset on the market which works with both PS4 and PS VR, and is universally accepted to be best in class, and we see little reason for this new, updated model to fare any differently. With a hidden microphone for in-game chat and what certainly looks to be a comfortable double headband, this new headset from Sony has all the hallmarks of being the headset to buy – it’s just a shame Sony couldn’t get this thing out the door before Christmas. I hope those earpieces fit all the way over the ears, like the lower-priced version Playstation headset. The ones that sit on the ears cause me fatigue and pain before too long.